Joel and I have been researching pigs for the last year or so. We’ve visited several farms, and several different breeds and almost without fail I am impressed with: the size of the pig and the SIZE of the pigs. 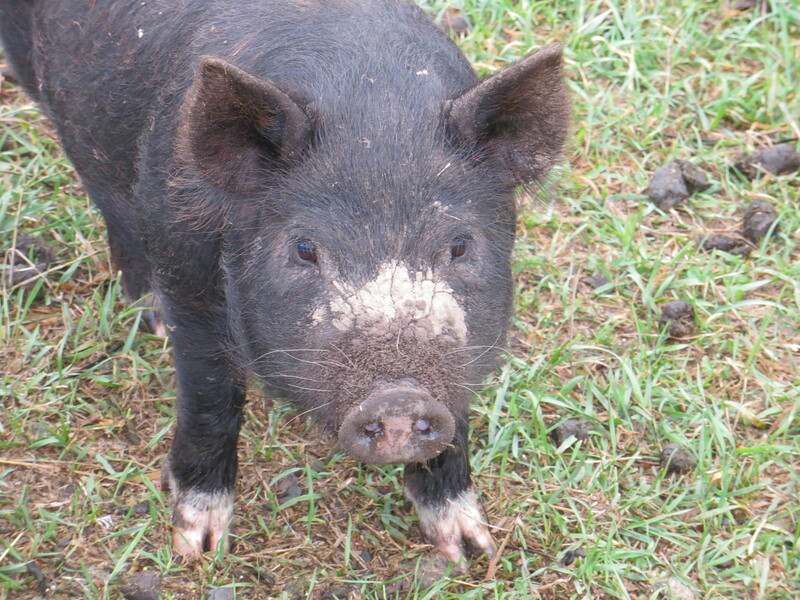 Many pigs are 600-800 lbs full grown. Not only is that a huge amount of pig to attempt to control, that pig is also going to eat a huge amount of food, root up a huge amount of pasture ect. 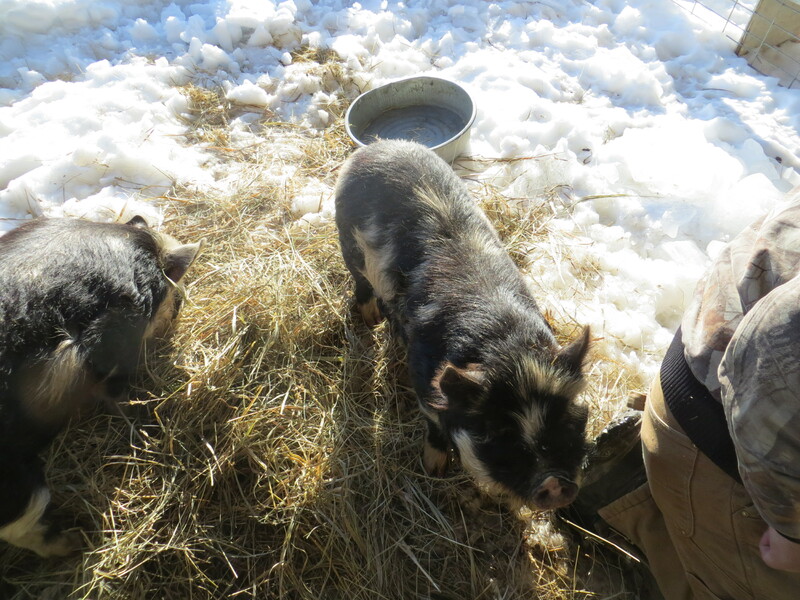 About 6-7 months ago we bought some little weanling American Guinea Hogs from a breeder near us. We liked them. They were small. They didn’t eat a lot. And they were friendly in a way. 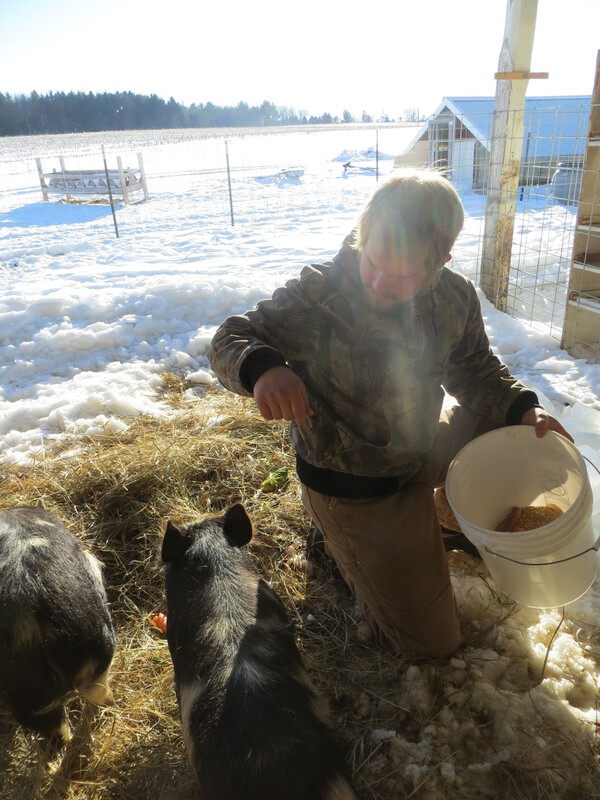 Whenever we would mention our little AGHs to farmers with larger hogs (American Guinea Hogs boars max out at about 250 lbs full grown. Sows are usually less.) they would scoff. Or call the meat to fatty. Or just laugh. Yet, whenever I talked to American Guinea Hog breeders they had nothing but good things to say about their little black pigs. 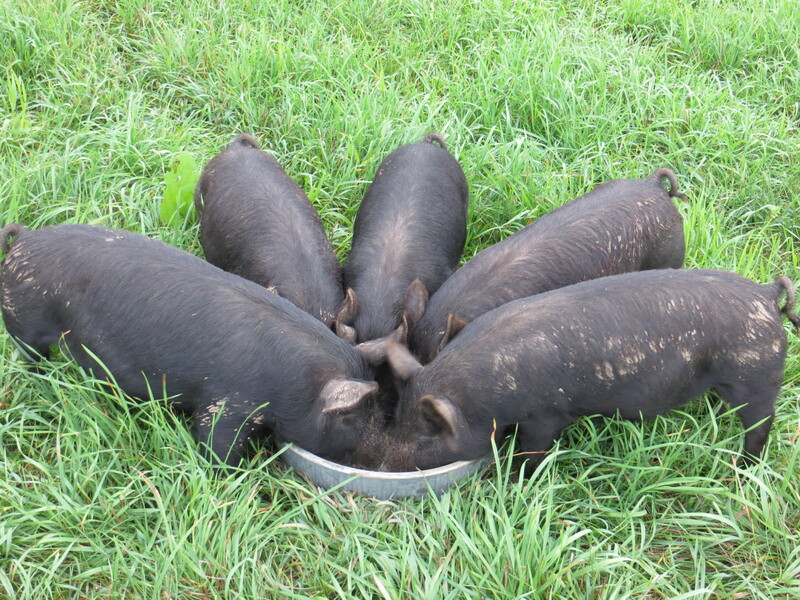 Breeders love their size, as it is less intimidating, and better on a small acreage. They loved their meat and temperaments too. I started looking into other breeds or pigs, both big and small. 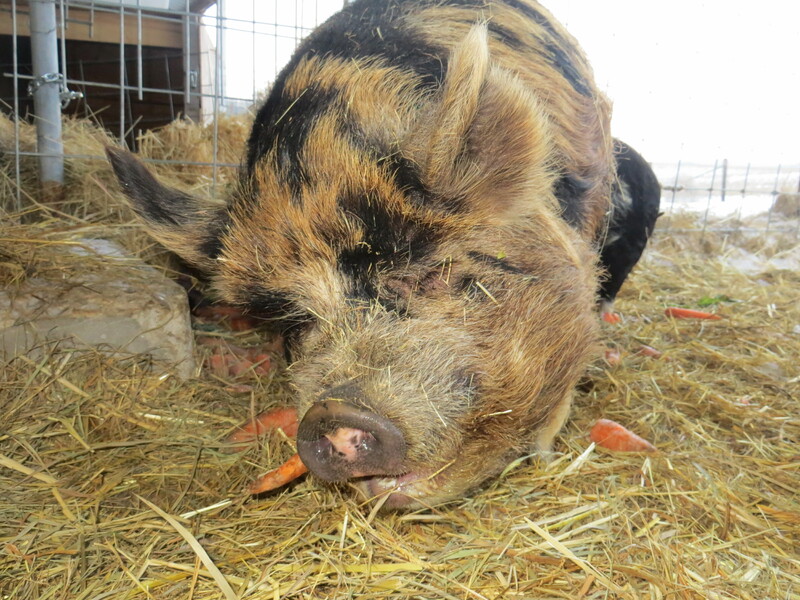 In my quest to find the perfect pig that might root less than a normal pig I found the pig that stole my heart…the Kune Kune. Kune Kune pigs are from New Zealand and were raised there by the Maori people. 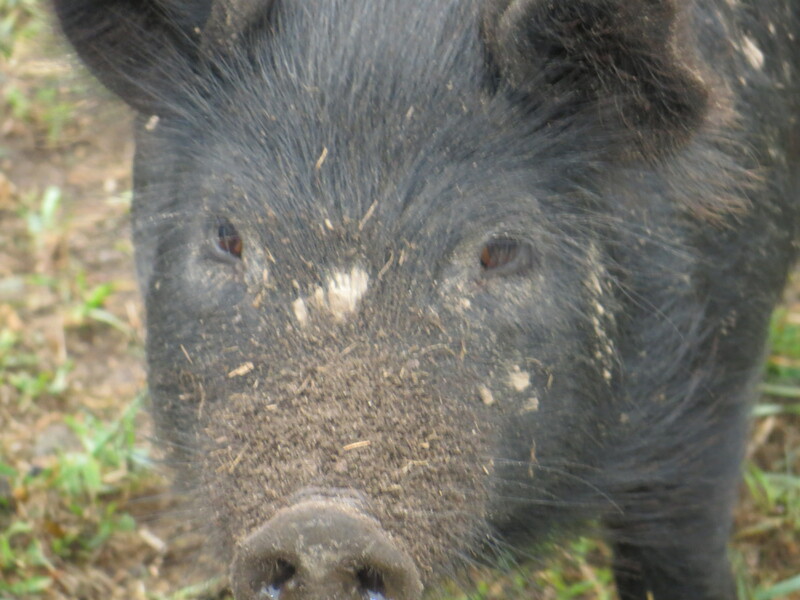 In the Maori language Kune Kune (pronounced Cooney Cooney) means “fat and round.” The pigs are known for their dished shaped faces and short snouts which makes them the least likely of any pig breed to root(although all pigs root.) 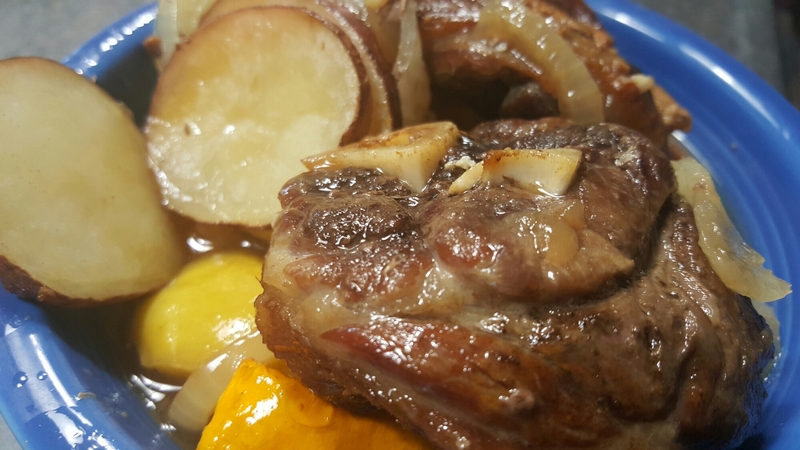 Most Kune Kunes have wattles called “piri piri.”They come in all sorts of colors, black, ginger, cream, black and white spots, ginger and black and tri-colored. They are a slow growing pig, similar to the American Guinea Hog but perhaps a bit slower growing, and a bit smaller full grown. 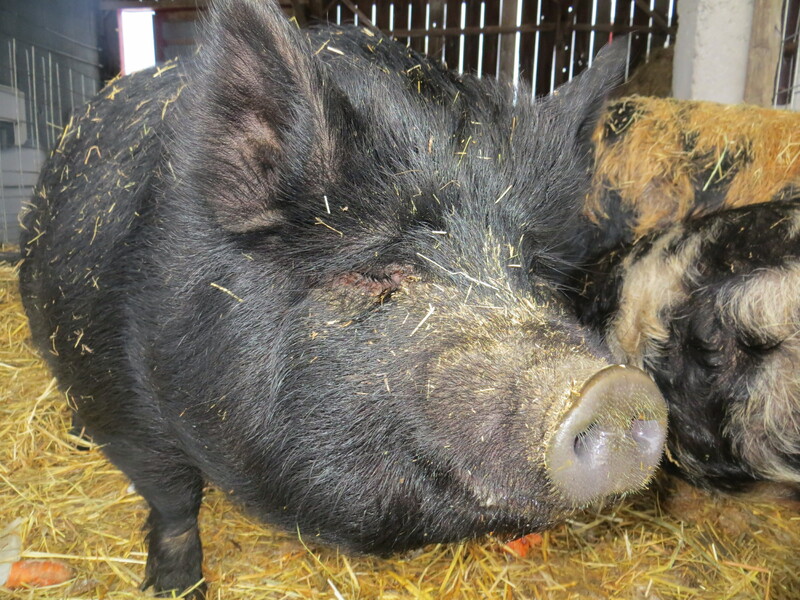 The most attractive quality (to me) of the Kune Kune is there love for people. 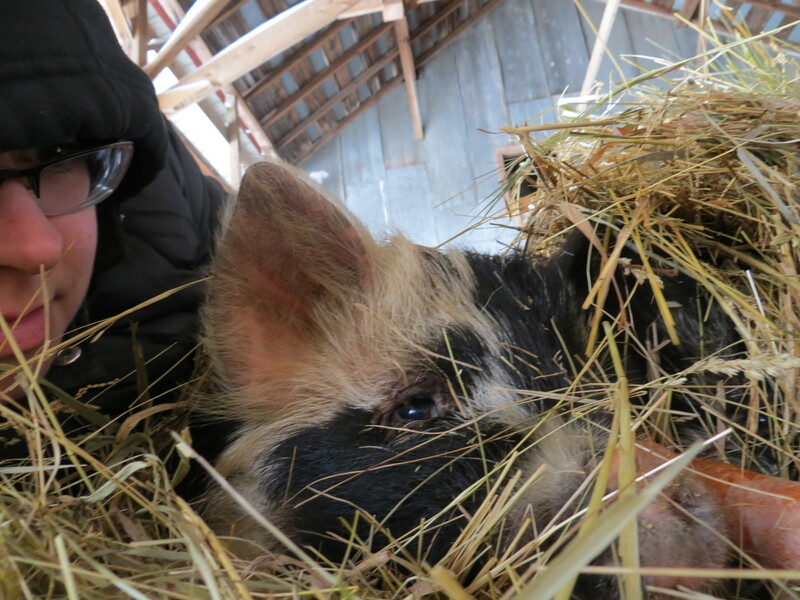 The pigs are very placid, very docile, and very people oriented. We visited a farm that claimed to have Kune Kune crosses but their snouts were so long, and they were not friendly at all and perhaps there was Kune Kune blood in their veins but they didn’t have any of the traits I wanted. I fell into a Kune Kune-less pit of sadness. Then opportunity knocked. 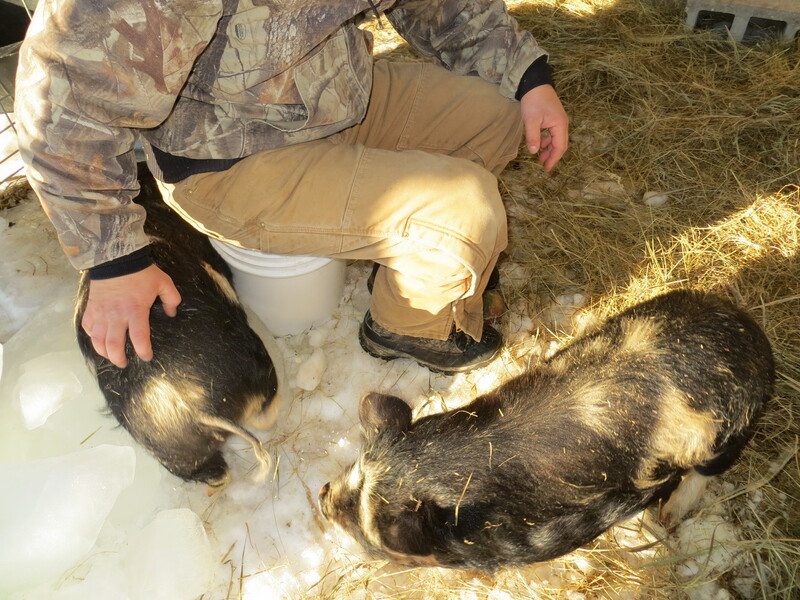 I found a breeder with two pure blood Kune Kunes in Wisconsin! 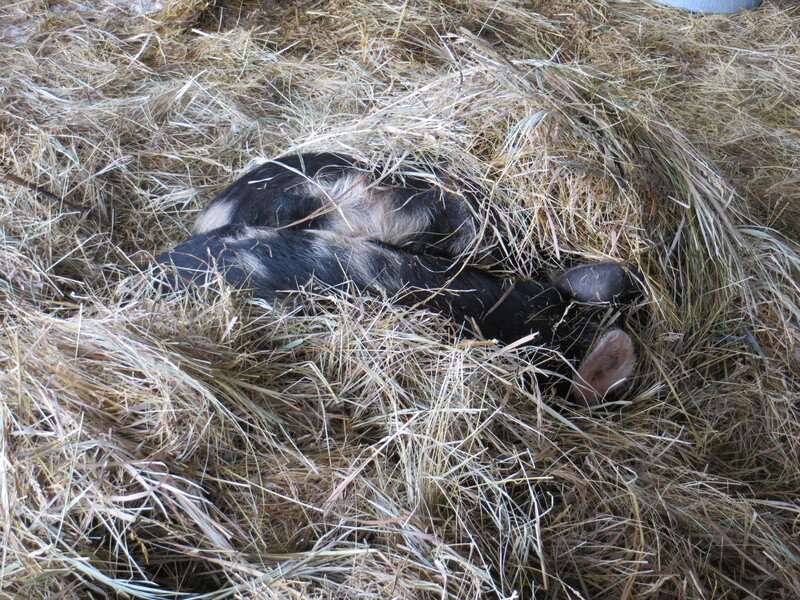 The first morning I came to check on them they were burrowed in the straw and at first I thought they had escaped! After that shock I need a quick cuddle. Dizzy has a white ear. Zelda doesn’t. We needed a boar to breed them so we got Hercules! He loves his carrots! Hercules is very gentle. If you scratch him in the right spot he rolls on his side and begs for belly rubs. He also got Duchess. Duchess wants to be the boss of the other pigs. She is a proven mother. 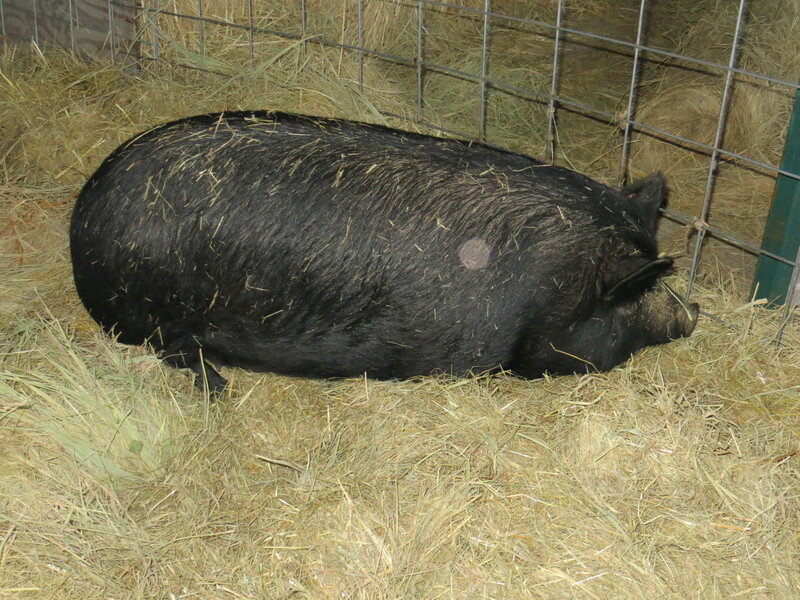 She is a full blood American Guinea Hog. Her and Hercules should have babies in a few months! 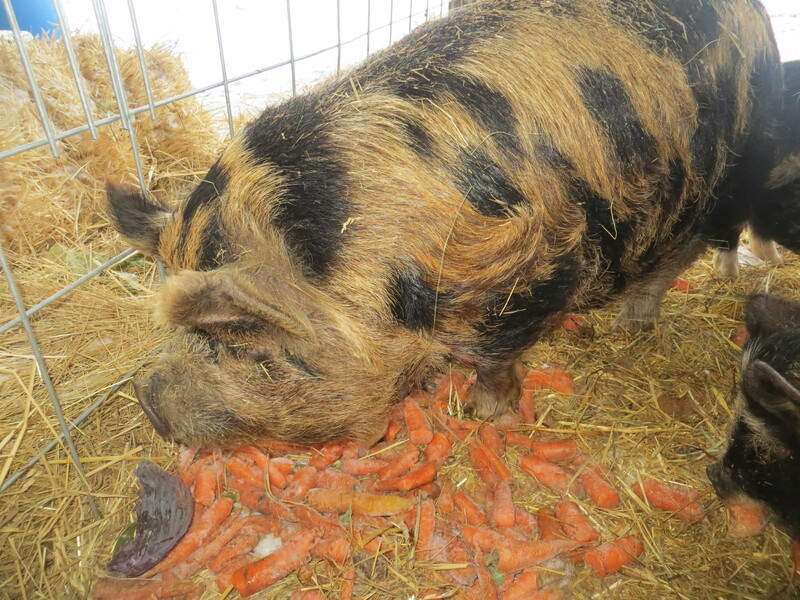 And last but not least, we were given Penny, a Kune Kune/Potbelly cross. Her previous owner was no longer able to keep her. Penny is very, very sweet. She loves scratches and belly rubs. About a month ago we purchased five castrated American Guinea Hogs. AGHs are a lard type pig. They enjoy long walks on the beach and candlelit dinners of pasture grass, acorns, small amounts of grain, and veggie scraps. They dislike being held, green beans and yellow squash. Their names are Tamale(pictures above), Tortilla, Frijoles, Taco and Burrito. 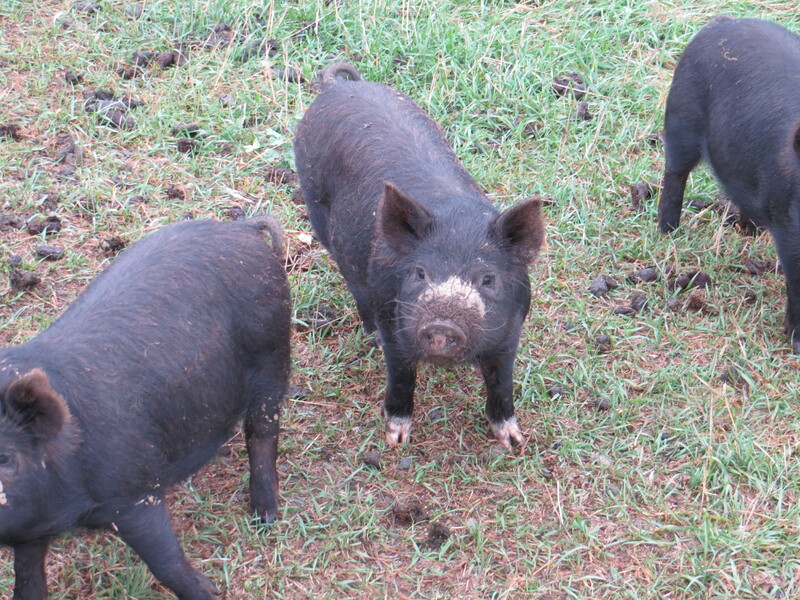 They are lard pigs so they were given names from lard infused Mexican food. Some people think it is weird to name animals that are destined for the freezer. I think it is weird NOT to. I find that naming animals, no matter what their future may hold, creates an atmosphere of respect. Individuals are treated kindly instead of being viewed as a means to an end. When animals are just nameless faces those animals become an IT. They become objects to be used. My animals are not objects, they are individuals, and they deserve respect. I have read that pigs and sheep represent the two different ways of living in an agricultural society. Sheep represent nomadic life. In many countries sheep still graze endless hillsides and valleys, moving daily to fresh pasture, and following the seasons. The shepherds provide them with protection, shelter and forage. The sheep provide them with wool, milk and meat. Pigs on the other hand are products of sedentary agriculture. Pigs were domesticated to eat the leftovers of society. 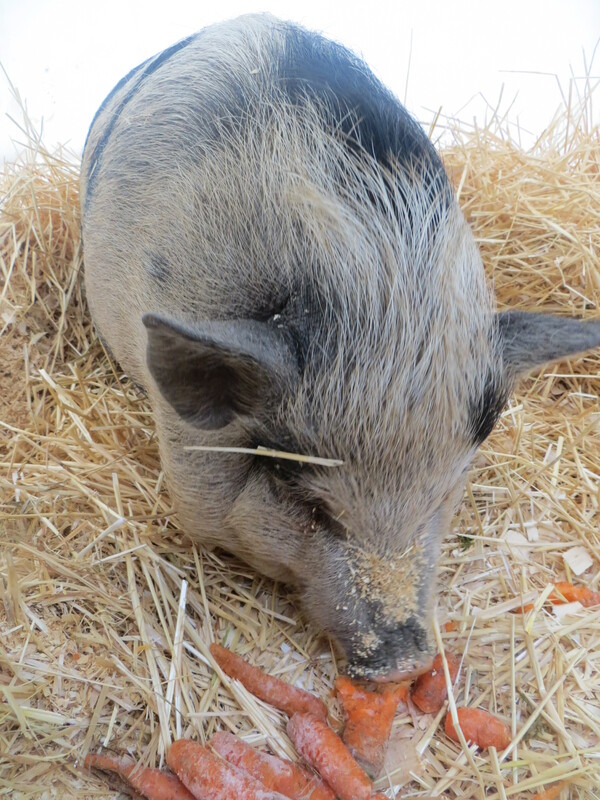 Pigs are excellent at eating food that others can’t, at tilling the earth for crops and for being smart enough to co-exist with humans. Industrial pork production is some of the most inhumane farming you can imagine. Pregnant/lactating sows are kept in gestation crates for almost their entire lives. They can barely move. They are not allowed the joy of fresh pasture, of wallowing, or rooting. They are not allowed to be pigs. They are objects for humans to use up. They are products. They are dinner. Modern sow farmers will tell you the gestational crates are necessary because otherwise the sows will sit on their young. Although this is a very real problem, instead of choosing to breed sows that are good mothers they choose to confine them in boxes…It is upsetting to say the least! 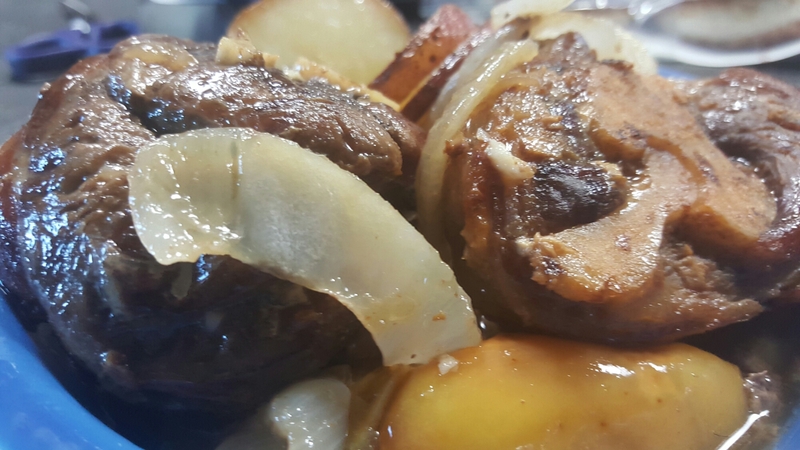 I am a pork lover, and I am excited to be able to eat humanely raised pork. I am also excited to make the lard into tamales(my grandma’s recipe), soap and maybe even candles. 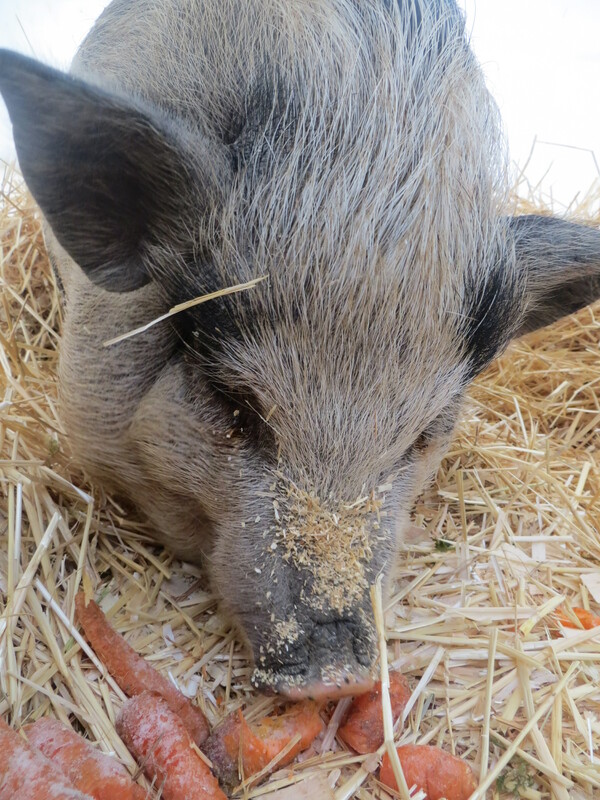 The dirt on their noses is from rooting around in the soil, looking for grubs, worms and roots.